Turmeric dates back as far as 500 BCE. This herb is widely known and plays a major important part in Ayurvedic medicine. Many might recognize turmeric as a bright yellow, ginger-like, fragrant spice. However with all of the medicinal benefits it has brought over the years it is widely known as the Golden Herb of Ayurveda. Ayurveda stands for ‘The Science of Life’. Turmeric oil –Through steam distillation, the rhizomes are extracted from the underground root of the Turmeric plant.This is the cause for the distinct woodsy smell. Curcumin – Is the main active ingredient that is found in Turmeric. This compound is what gives the golden yellow color. These two components have many positive effects on the body. They can quell inflammation and help to reduce pain. As we have begun to realize this in Western medicine, the study of its potential uses have exploded with over 3000 studies regarding turmeric published in the last 25 years. The interest in turmeric has began to cross over into the veterinary world as well. We are beginning to utilize turmeric in our pet patients more and more every day. 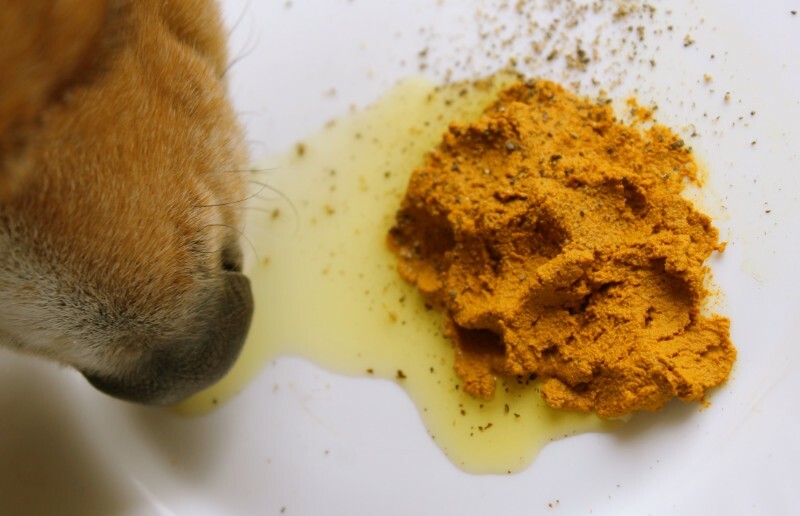 Turmeric in dogs is relatively safe, however as with any supplement with medicinal properties, there can be side effects. An upset stomach, bruising or other clotting issues and gallbladder problems can occur if given at higher doses. It is always recommended to consult with your local veterinarian before starting your pet on any medication or supplements. This is to ensure that the appropriate dosage and use is properly prescribed and under the supervision of a doctor. As we learn more, it is impossible not to be excited about this impressive plant! It always instills hope in us when we have another potential tool to use in the treatment of cancer. A board-certified veterinarian oncologist, Dr. Kendra Pope serves on American Board of Veterinary Botanical Medicine, which is a group of Veterinarians who are conducting research, holding seminars to educate on herbal medicine for animals. We are hopeful that the continuous studies of turmeric oil and curcumin along with all other traditional herbal medicines, will bring more and more knowledge what these herbs can do for our pet patients.